Currently Obsessed With is a once-a-month (but sometimes more) feature where I talk about my favorite things from the last month. February was pretty exhausting! For most the month, I went to bed super-early, but a lot of days, I was ready for bed when I got home at 5:30! And yet, while tired, I found myself with not a lot energy, but not actually able to go to bed that early. I had a lot to talk about with nail polish, so check out this post if you want to know more! I really am glad I set this different color a week project for myself, because it’s actually getting me to go through my nail polish and wear a lot of different colors. There are so many I kind of forgot I had. It’s sad, but I’m also glad I’m starting to wear some of the older ones. I did some crocheting, but not a lot. For work one day, we had to wear red, and instead buying something red, I decided to make something instead, especially since I have some red yarn to use. I was going to do a scarf, but as usual, I didn’t give myself enough time to make it, so I went with a hat instead. I do have a red-orange scarf I’m working on, and I do want to start something red soon so I’ll have something red for both Valentine’s and Christmas. I also finished the Leprechaun beanie I was working on- well, the hat. There’s still a yellow buckle I need to do, but I think it’s slightly too big. I’m horrible at sizing beanies for myself, but I do have a green beret, so I’m not too worried if I don’t get something else done in time. Much like crochet, I haven’t been in much of a reading mood, but I did get some books in February! From Audible, I got Shadow Study, which is the newest book in the Study Series by Maria Snyder! I didn’t even know the series was continuing until I saw it up as a recommendation when I randomly went to Audible recently, so I got that one. I also bought Fledgling by Octavia Butler, which I’m excited about listening to. I also bought a couple of books! 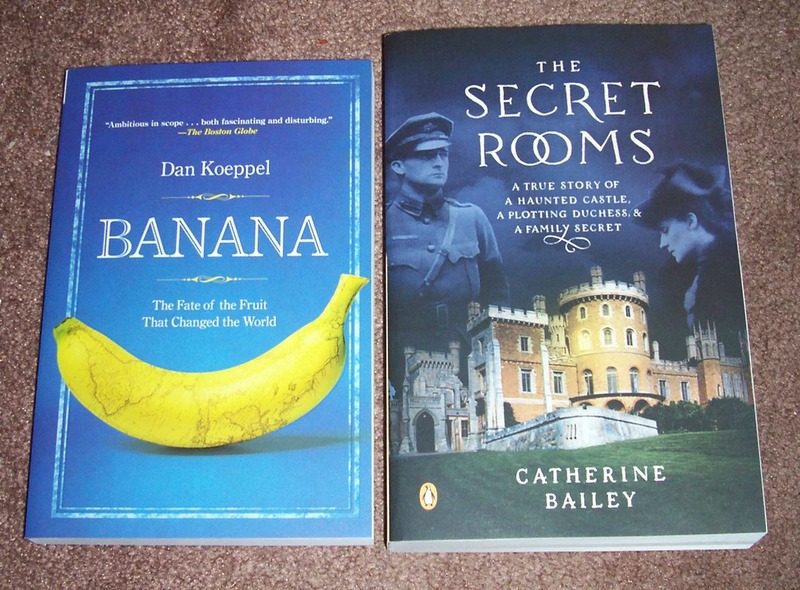 I bought Banana: The Fate Of The Fruit That Changed The World by Dan Koeppel and The Secret Rooms by Catherine Bailey. I’m really excited about the Dan Koeppel one- I know it sounds weird but it also looks really interesting! I’m also intrigued by The Secret Rooms, which is about this room that was sealed up by this one British Duke back in the 1940’s, and how the author got into the room to read everything. I’ve been watching it! Well, falling asleep and then having to catch up would be much more accurate of a statement. Sleepy Hollow and How To Get Away With Murder are done for the season! I hope Sleepy Hollow comes back for a third season, and I was quite surprised with the last few minutes! If it doesn’t, I am glad with how everything was wrapped up, but if it does…let’s just say I’m interested in what happens next! Same with How To Get Away With Murder, although we know it’s coming back. I can’t wait to see what happens next season because I have so many questions. I also watched the Oscars, and I really loved a lot of the speeches. I liked a couple of the performances for best song- Everything Is Awesome was fun, and Rita Ora did awesome, as Common and John Legend. And Lady Gaga was fantastic! I don’t know why I was so surprised by how talented she is. They seemed more boring/longer than they normally do, and I liked the opening number that Neil Patrick Harris did but overall, he wasn’t one of my favorite hosts. Plus, it was the first time in a while since I’ve seen only one of the best animated movies, and I kind of wish I had seen the rest of the ones nominated. I don’t have a lot this month, because trying to get anything onto Pinterest (and saving posts) has been a pain! Most of what I’m sharing is before it went all wonky. I really like bloglovin’, but I’m so frustrated with some changes they’ve made recently that I’m currently looking at new blog feed readers. If anyone knows of a good one that will let me save and share posts, share it in the comments! The Guardian created a sorting hat quiz, and I got Hufflepuff, which wasn’t a surprise…but I will say that it’s super easy to get the house you want. The reason why I love the Pottermore sorting hat quiz is because it’s super-random and you really can’t figure out which answers go with which house. The Guardian also has an interesting post about why reading classics are important. This is a great blog post about plot and how to write about it in reviews. The Point Of View post is also awesome. I’m totally looking forward to reading all of the posts in this series. 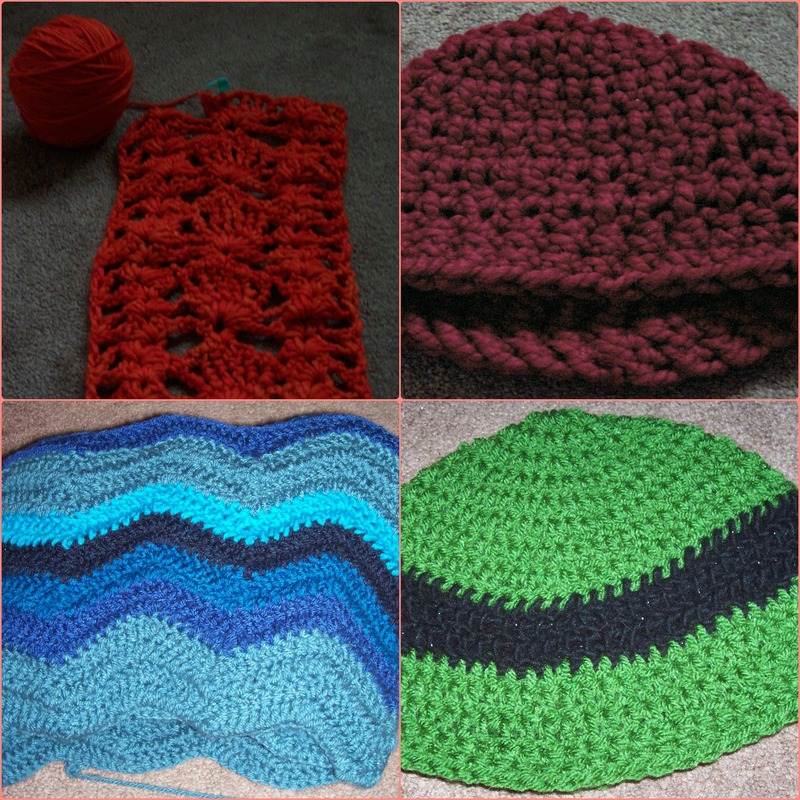 I really want to try Center Double Crochet. What does everyone think of this video of important moments in Snape’s life? It’s interesting to see them in chronological order, especially since we don’t get them that way in the book. I totally got Anne Of Green Gables in this Buzzfeed quiz, and I think it fits me perfectly! I love how Neil Gaiman responded to this question about the number of copies 50 Shades has sold- basically, don’t worry about it was his answer. Totally not what I expected it, but it’s such a great answer. And this post about how to forgive people who have hurt you (including yourself!) is amazing. I LOVE Love Me Like You Do by Ellie Goulding! It’s definitely one of my favorite song this month, and in my quest to find the song, I ended up buying the entire 50 Shades soundtrack. I haven’t read the book or seen the movie, so I have no opinion on either, but the soundtrack is actually really good! Last month, I listened to Taylor Swift on repeat, this time it’s the soundtrack to 50 Shades Of Grey.